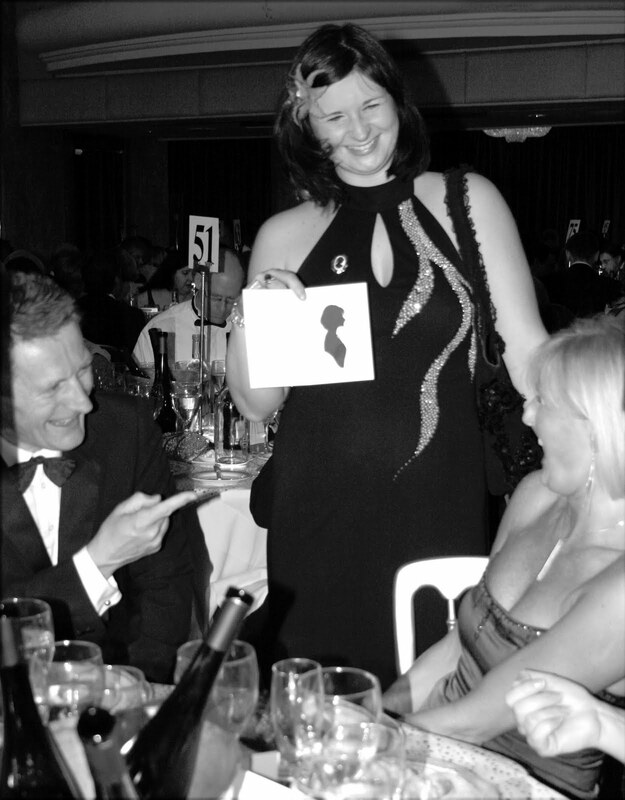 I am often approached by party planners, entertainment agencies and event organisers, looking for a mix and mingle entertainment, that is different from a caricature artist or magician and just as entertaining, but with a creative twist. "A definite way to wow! 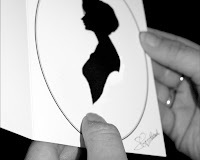 your guests"
Well Silhouette art is a definite way to wow! your guests, but also leaves them with a memento that will ensure your party is talked about for a lifetime. I'm a leading silhouette artist with over 15 years of experience of silhouette cutting at different parties and I've worked at hundreds of events, including weddings, celebrity bashes and Royal engagements. 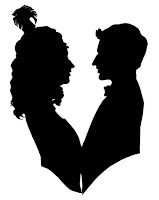 Silhouette cutting offers a flattering and true to life miniature silhouette profile of your guests. These impressive portraits are made from black paper using ONLY scissors and black card. It only takes a few seconds to create each of these truly unique and stylish handcrafted silhouettes. Silhouette artists are not only great icebreakers, with a real wow! factor, but they also offer a memorable keepsake. Partygoers take home their very own paper miniature profile of themselves as a memento of your event. This is why so many organisers opt for a customised mount card to include a logo or special message, as a great reminder of the occasion or as a marketing tool. To find out what I can bring to your event call me for a chat on 07949 1333 90 or drop me a line on SilhouetteSarah@gmail.com.